From the outset in 1907 the Brooklands Clubhouse was designed to be the centre of the Brooklands circuit. The Club housed the track officials such as Clerk of the Course, Clerk of the Scales and the Stewards. It was originally where the cars and drivers were weighed prior to their races and contained changing rooms and a large open viewing stand for the Press. The Club also housed a Dining Room and bar for the exclusive use of the Brooklands Automobile Racing Club. An additional luncheon room was added on the first floor in 1913 with stairs leading directly from the Paddock. Motor racing was still very much the preserve of the wealthy amateur at this time and in 1930 the Clubhouse was extended to accommodate this growth of interest, with the Club races becoming an essential part of the social “season” along with Henley, Wimbledon and Ascot. Those improvements included a Ladies Reading Room, Billiard Room, Member's Lounge and Tea Room. The circuit closed in 1939 with the advent of the Second World War and the Clubhouse was altered to accommodate drawing offices. The office of Sir Barnes Wallis was housed here as part of the Vickers Armstrong Research and Development Department. Through the many years of aircraft manufacture at the site the club house fell into some disrepair and was largely used for storage. In 1983 British Aerospace sold the northern end of the Brooklands site, including the clubhouse, to a company called Gallahers and in 1984, following the leaseback of the 30-acre museum site to Elmbridge Borough Council, major restoration work began which resulted in the building you see today. 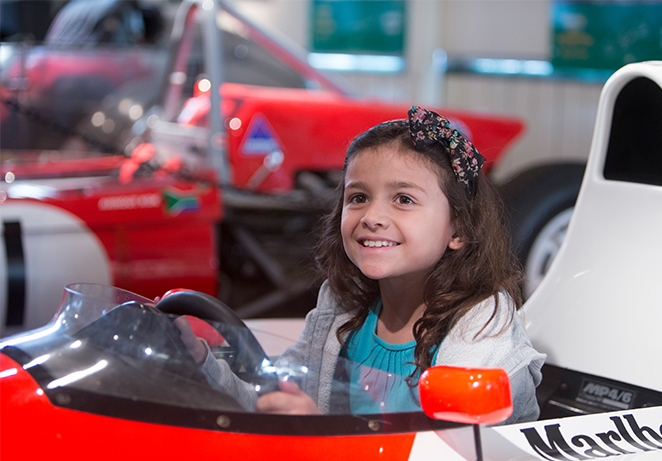 The Brooklands Museum Trust was formed in 1987 and the clubhouse underwent a programme of refitting to make it suitable to house exhibits as well as to host corporate functions and hospitality. In support of this the “Brooklands Club” was formed and the Members’ Bar and Restaurant created for their use. Further renovation of the Clubhouse was required following the severe flooding of 2000 which damaged large sections of the ground floor. The “Brooklands Club” was amalgamated with the “Friends” group in time for the 2009 season and the “Club Level” member was created with a target of around 500 members anticipated. It was intended that this level of membership would be similar to the old Brooklands Club with Club Level members able to use the first floor Members’ Bar which serves both food and refreshments. In the Spring of 2012 the Clubhouse was renovated again and is now presented in a style echoing the feel of the 1920s and 30s for corporate functions as well as for Club level members. The Membership has far outstripped that initial expectation but Club Level Members can still experience a step back in time as they enjoy their cocktails on the Clubhouse balcony overlooking the busy Paddock where pre-war and classic cars are often parked or in action on busy event days. Thursday, Friday and Sunday lunchtimes from 12.30pm, last orders for lunch at 2pm. To book at table for a group of four or more please call the Hospitality Team on 01932 858 005 and ask for Jo. 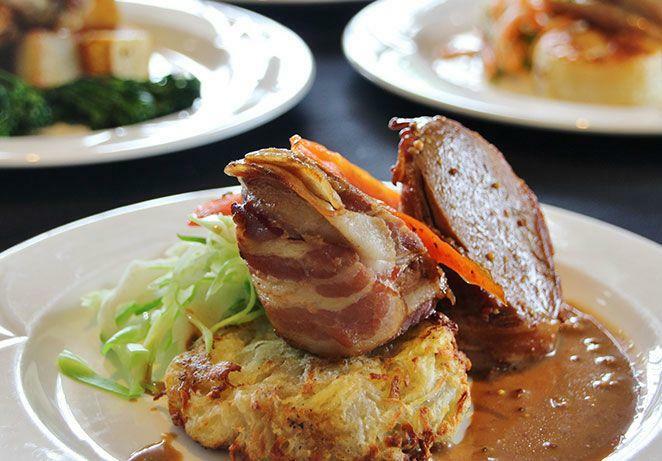 A new Sunday carvery lunch is coming soon.... from Sunday 24th February you can dine in the Bluebird Room with a great 3 course carvery lunch for £25.50 per adult and £13 per child. Look out for further details soon. Parking is normally in the main Museum Car Park behind MBW during the week. 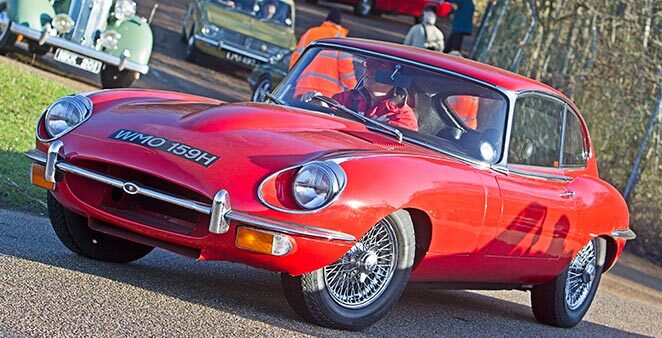 Members can park pre-1987 classic cars on the Museum site at any time subject to event or other ad-hoc restrictions. Parking in The Heights unless in a classic. Club Level parking is available in The Heights car park on event days off Wellington Way with bays near the entrance to the Museum - look out for the signs. Today, as a Brooklands Trust Club Level Member, you and your guests can enjoy the relaxing Edwardian atmosphere of the unique Art Deco Members' bar whilst enjoying refreshments and lunches either inside the clubhouse or out on the white painted balcony overlooking the paddock and Motoring Village. The balcony is a great vantage point from which to view the bustle on busy event days or to simply soak up the unique Brooklands atmosphere. There is an exclusive menu available which includes a special dish of the day plus regular light snacks including the famous Brooklands Club Sandwich. The menu is significantly different to that offered in the Sunbeam Cafe on the ground floor of the Clubhouse. We hold occasional live music sessions specially for Club members featuring the Brooklands All Stars - an ever-changing line up of professional Trad musicians led by Bob Webb which has featured Chris Barber and many others on occasion. The bar is open exclusively for Club Level members on Thursday, Friday & Sunday lunchtimes and occasional Saturdays if large events are taking place. On Sunday lunchtimes we now offer a carvery lunch, exclusively for Club level members and their guests. Club Level Members can bring up to two non member guests with them when they visit and they too will be allowed use of the Clubhouse facilities. 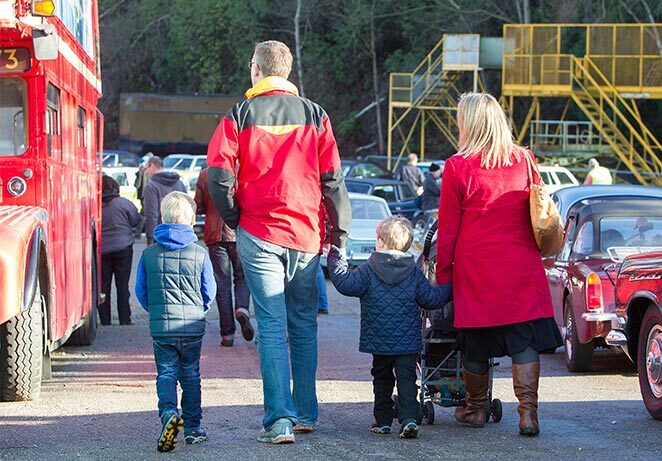 Club Level members can park their private vehicles on the Museum site at weekends (unless a large event is taking place in which case there will be reserved Club Level parking in The Heights car park). Should you arrive in a classic vehicle (pre 1988) then you may enter via the Campbell Gate at any time to display the car in The Paddock (subject to events). Additionally for Members joining or renewing from 2nd March 2018 there will be no surcharge at Museum "Premium" events such as Auto Italia and Autumn Motorsport Day. The surcharge will still apply to other membership levels.